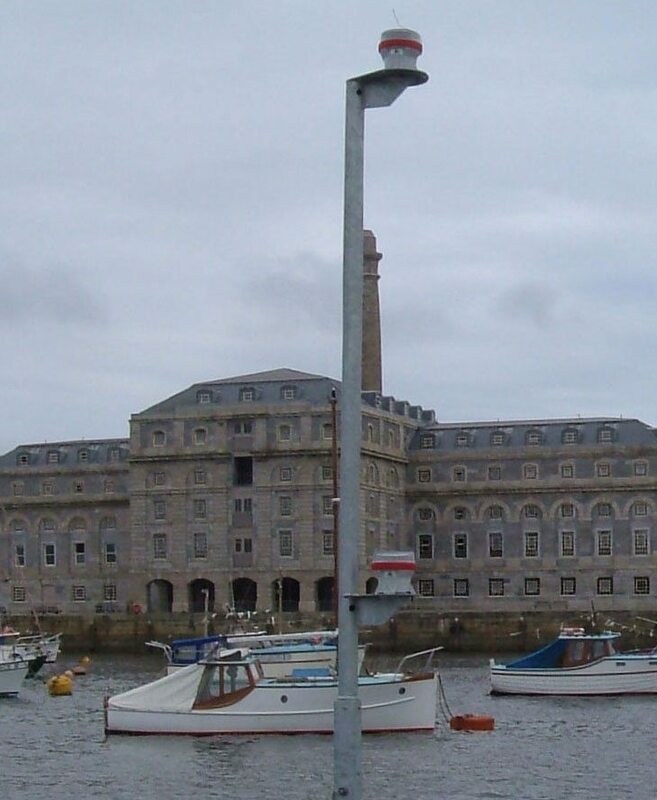 Hydrosphere supply high quality, cost-effective jetty mast systems for lighting the extremities of a jetty as well as entrances to harbours, marinas and other navigation channels. All products conform to IMO regulations and IALA recommendations. 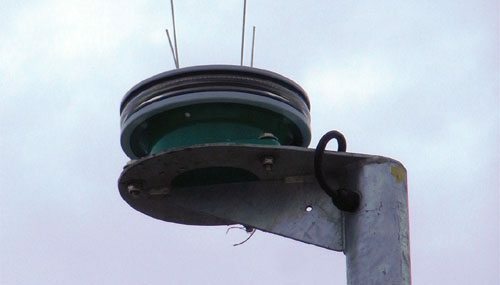 We supply standard and custom-built masts for mounting self contained or standalone navigation lights. Masts can include a built-in weatherproof enclosure to house a mains power supply with battery backup. These counterbalanced folding masts are simple to transport, easy to install and can be safely operated by one person. We offer a variety of IALA complaint LED lights for solar and mains power operation, which provide between 2NM and 10NM range. All lights exhibit all standard IALA flash characters and fulfil IMO regulations. A high capacity, maintenance-free, self contained solar light designed to provide 2NM range (fixed and flashing) particularly in high latitude applications. For ranges of up to 10NM the VLB-44 is available with one to eight tiers and can be sized to the range for your particular application. Available with dc power supply only. For ranges of up to 4NM the Vega VLB-67 is available as a self contained unit (comprising power supply / solar panels and battery) or as a standalone light with an ac/dc power supply unit (with optional battery). Optional design with or without a base enclosure allows the power supplies and backup batteries to be securely protected from the elements and tampering. Lights can also be tailored to meet user requirements regarding mains or solar power supplies, flasher and synchronisation modules, GPS receivers, mounting brackets and programmers.